A "cool" girl is the best way to describe her. Although Rui bears the same surname as Minami, they are in fact not at all related. Rui was put into Minami's care when her father Cole Window, former chief of Heavens' recovery team, lost his life to avenge his friends. Minami treats Rui as if she was her own daughter. 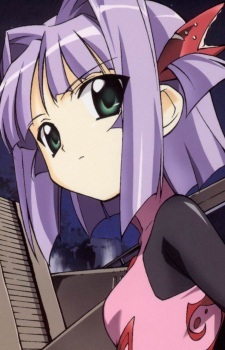 When Rui first appeared in the Venezuela arc, she would challenge Aoba many times to become the main pilot of the Moribito. The two would become friends through the process, but their rivalry never ends. Rui pilots the Nana-Two Way Custom with Minami during the Venezuela arc, but she will switch to the Nana-Two Mild in the Tokyo arc.